This seminar provides an explanation with examples of the 37 Rules of the Road for both the U.S. Inland Rules and the International Rules (COLREGS). It simplifies the sometimes complex law relating to boat operation for the recreational boater. It is a starting point for study preparation for the USCG License examination. 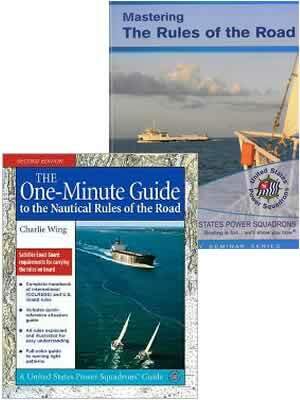 This seminar includes McGraw-Hill's The One Minute Guide to the Nautical Rules of the Road by Charlie Wing and Student Notes with slides.